A high custom-fitted garment is a lot like the idea of Haute Couture. 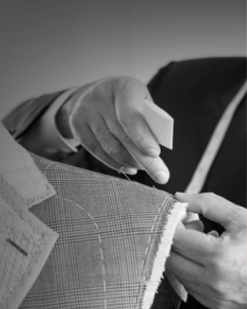 An Haute Couture garment is made for a client, tailored specifically for the wearer's measurements and body stance. It is a fashion constructed by hand from the beginning to finish, made from high quality, expensive, exquisite fabrics and sewn with extreme attention to detail and finished by the most experienced and capable sewers, often using time-consuming, hand-executed techniques. Custom-made garments are highly recommand for important occasions.